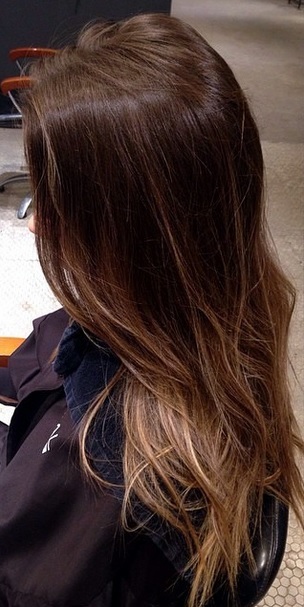 Sombre – sort of ombre, but not like what ombre used to be. The new and now is having your highlights ‘tipped out’ near the ends, and blended super fine at the roots. Color by Patricia J., based at the Weekly Trim True Salon in Alberta, Canada. This looks like my natural hair color a little bit after summer, when the natural highlights start growing out.